Why would I need self storage in Vadnais Heights, MN? There are a variety of reasons why you might need self-storage in Vadnais Heights, MN. How much is a storage unit in Vadnais Heights, MN? The cheapest storage unit in Vadnais Heights, MN is $40.00 per month. What size storage units do you have available in Vadnais Heights, MN? In Vadnais Heights, MN we have sizes that range from 5'x5' to 10'x22' to suit your storage needs. How much is it for a 5'x5' storage unit in Vadnais Heights, MN? The cheapest 5'x5' storage unit in Vadnais Heights, MN is $40.00 per month. Vadnais Heights is a small Minnesota city, considered a suburb of the large Minneapolis-St. Paul metro area. 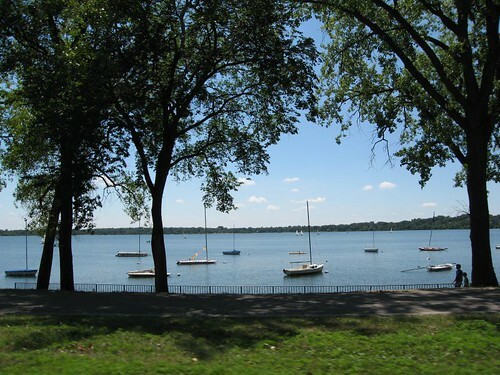 It offers ample suburban-style housing and convenient transit connections to nearby St. Paul and Minneapolis, which provides an ideal balance of access to big-city amenities and a quiet, cozy community. Surrounded by protected land, the city offers a scenic setting, walking trails and some fishing. The Vadnais Heights area was first settled by French Canadians in the 1840s and was part of White Bear Township until it became its own village in 1957. Less than 20 years later, in 1974, Vadnais Heights incorporated as a city, named for one of the area's first settlers, Jean Vadnais. The city underwent significant development after its administration implemented comprehensive plans in the 1980s and 1990s, which resulted in a diverse yet solid commercial center. Vadnais Heights and the greater Minneapolis-St. Paul area are home to numerous large employers in a wide range of fields. Major health care employers include UnitedHealth Group and St. Jude Medical, while the area's largest manufacturing employers include 3M, Medtronic and General Mills. Retailers like Target, Best Buy and SuperValu also provide thousands of jobs in and around Vadnais Heights. Whether you're looking for a job in health care, finance, manufacturing or energy, you'll find plenty of good options in Vadnais Heights. The Vadnais Heights metro area has no shortage of well-developed industries. Some of the area's largest industries include education and health services, trade and transportation, professional and business services and government. Students living in Vadnais Heights attend either White Bear Lake Area Schools or Mounds View Public Schools. Secondary school students also have the opportunity to attend the Agricultural and Food Sciences Academy, a charter high school in Vadnais Heights. The district offers several unique learning opportunities and educational programs. Students attending Vadnais Heights Elementary School, for instance, can learn about Chinese language and culture through a relationship with China's Hangzhou Foreign Languages School. Utilities: Major energy providers in the area include Xcel Energy and Connexus Energy. Garbage and Recycling: The city is split into two waste disposal zones, with one assigned to Waste Management and the other served by Republic Services. If you aren't sure which zone your home is in, you can contact City Hall. Transportation: Metro Transit operates several routes through Vadnais Heights, so it's extremely convenient to use public transportation to get around the area. Vadnais Heights is fairly in line with most Minneapolis suburbs in term of price, though prices are well above the national average. You'll have a wide range of options whether you're hoping to rent or buy. There are many quiet, leafy communities near the city's Vadnais Lake, Oak Creek Park and Kohler Meadows. Our lowest priced units in Vadnais Heights, MN average $40.00 per month. 46 people have reserved units in Vadnais Heights, MN in the past 30 days. There is 1 location within Vadnais Heights, MN's city limits.